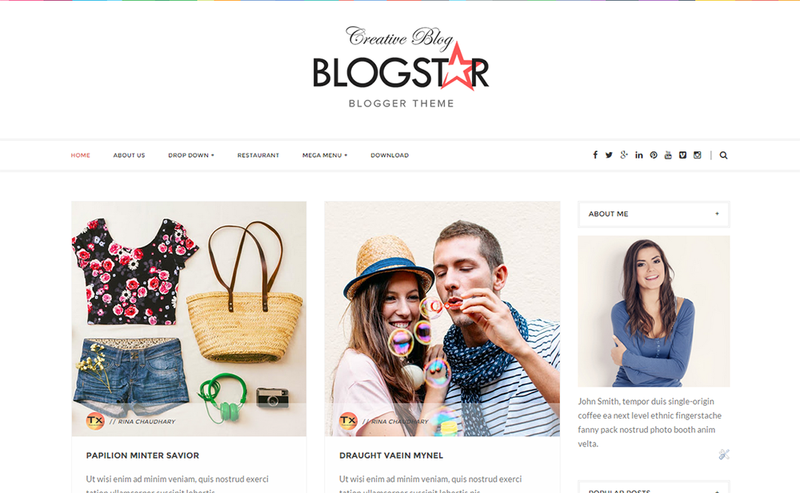 Blogstar is a clean and minimal Responsive Blogger Template which brings Grid based masonry design. It’s very code-light, making it quick to load, and has a pleasingly clean look that’s ideal for Blog or Magazine. Perfect choice for your personal blog, Fashion blog, OOTD blog, authority blog or any type of creative blog or simple magazine. It has a responsive design meaning your content will be displayed beautifully on all mobile devices.